Come To My Party was founded in 2008 by myself Kerry Jay. An entertainer all my life, I was constantly asked to entertain children at friends parties and after moving to Oxfordshire and starting a family, founding Come To My Party seemed an obvious next move. I have been a professional dancer for the past 12 years. I ‘trod the boards’ in London’s West End in shows such as Chicago, We Will Rock You, Follies, Les Miserables and Grease; as well as working commercially for artists such as Sugababes, Jamiroqui, Blue, Brian Adams, and Groove Armada in videos and tours. I have also been a dance teacher for 15 years. Fully CRB checked with Public Liability Insurance, I love working with children and seem to be able to captivate their attention! So sit down and enjoy the party whilst I entertain the children! I also have other entertainers who work with me on parties where more than one entertainer is needed, or if we have multiple bookings at the same time. Ryan started gymnastics at the age of 5 and trained for 10 years competing in regional and national competitions. He attends Henley in Arden Sports College studying a sports coaching course. Ryan works at Wade Gymnastics Club, coaching various ages and abilities in gymnastics and recreational gymnastics. Other present employment is at Spiceball Leisure Centre where he has recently started being a party leader and also helps out at the Saturday morning club. He enjoys working with children because he likes seeing children enjoying themselves whilst progressing. In his spare time Ryan enjoys keeping fit but mostly jumping and flipping around! Becky is in charge of our pamper parties! She has worked in the beauty industry for 8 years, having both spa and salon experience. 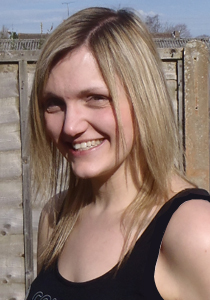 Becky has a CIBTAC diploma in Beauty Therapy which includes qualifications in Anatomy and physiology, body massage, lymphatic drainage, aesthetics, and aromatherapy. She says the best part of her job is making people feel good about themselves and building a good rapport between herself and the clients be they young or old! A mum of two young children herself she has a wonderful way with kids, and makes each individual child or adult feel special and pampered in her care! Georgia has been dancing since the age of three and contained dance training after education at college. Georgia worked as a Redcoat at Haven Holidays, and then as a show team dancer completing two seasons. She currently teaches musical theatre at a local dance school alongside being our chief Princess here at Come To My Party! Rosey has been dancing, singing and acting for many years. As a teenager Rosey dedicated a lot of her time to Jump Rope, gaining a qualification as a national Judge and Coach, she also competed to a National Level. Rosey attended Stratford Upon Avon College, where she received her BTEC National Diploma in Musical Theatre with straight Distinctions. Since then she has spent time working as a coach in Primary and Secondary Schools, teaching Zumba Fitness, performing in cabaret and tribute acts and teaching at a local dance school. Rosey loves being able to make children’s imaginations come alive through the art of entertainment.